Thanks for joining me for another sketch challenge with the Paper Craft Crew! This challenge is a little bit more involved; I had to give it some serious thought, to decide what theme and which stamp set I wanted to use. With our new Holiday catalogue going ‘live’ today, I thought I’d celebrate by using one of the new stamps set called Happy Scenes (pg.11, item #139821). For the stamped image, I started with a piece of Marina Mist cardstock, and stamped the tree scene and sentiment in the new Archival Black ink. 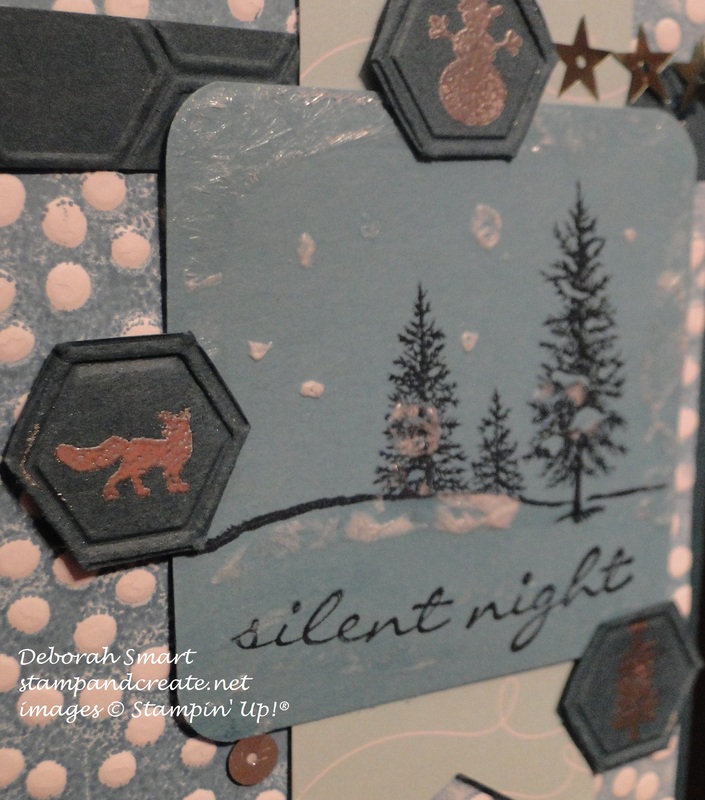 I then created the frosted snow look by using the Epsom Salt Technique – I had taught this recently to my technique club, and this was the perfect card on which to use it! It’s a very easy technique; it just requires patience to let the Epsom salts dry, to obtain the crystallized effect. Basically, you use equal parts Epsom Salts and boiling water (it has to be boiling), stir until the salt is dissolved, then apply to your cardstock using a paint brush. It’s important to apply in one direction only, and not go back over an area you’ve already covered, or else you’ll end up removing the solution you just applied. Once the solution is dried, you can see that the salt crystallizes on the paper, leaving a snowy, frosty effect. 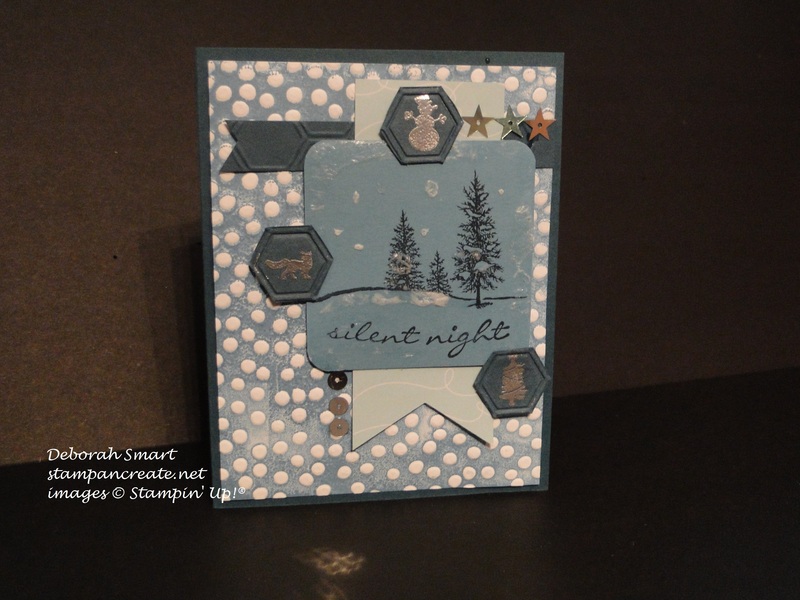 I stamped the small images of the tree, fox and snowman from the Jingle All the Way stamp set – Holiday catalogue pg. 12, item #139904 – in Versamark ink onto Not Quite Navy cardstock, and heat embossed using Silver embossing powder. I used a piece of Cherry on Top Designer Series Paper to create the banner behind the large stamped panel, and added some sequins from the Silver Sequin Trim and the stars from the Metallics Sequin Assortment. I hope you enjoyed my card, and seeing some of the new Holiday products! 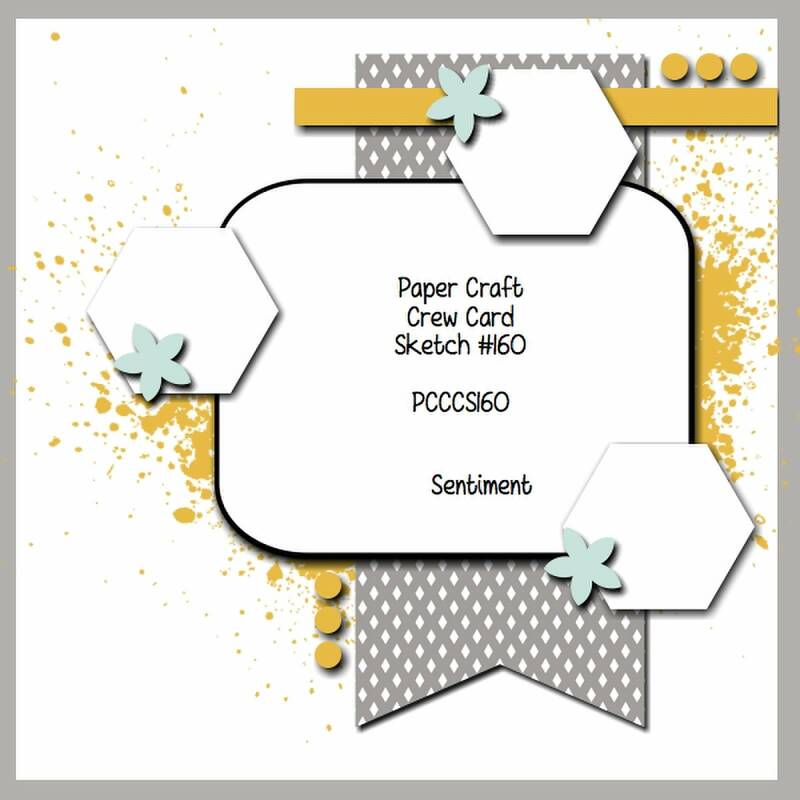 Now head over to the Paper Craft Crew page, and check out the cards the rest of the design crew has created for your inspiration, and then join in the fun with us! Create your own card, post it on your blog, or Pinterest page, and link to the challenge. You never know – you could be the next Featured Artisan! 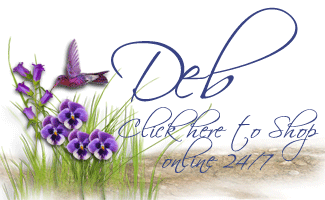 Previous Previous post: New Holiday Catalogue – Now Live! !